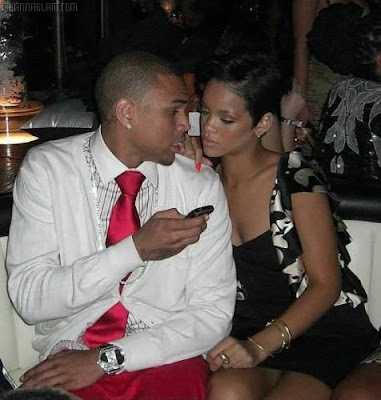 The True Gossip Home / CHRIS BROWN- ARRESTED FOR HITTING RIHANNA? CHRIS BROWN- ARRESTED FOR HITTING RIHANNA? Chris Brown and Rihanna did not show up at the Grammy's on February 8th, because Chris has been accused for physically abusing his girlfriend, Rihanna. Chris was arrested for this incident. Read the full story here.